Home / Cosmetic Dentistry / Got a chipped tooth? Sometimes during accidents we may suffer from injuries on our mouth and inside the oral cavity. Teeth are remarkably strong for being so small. However, they can still chip, crack, and break in many ways. But don’t worry; there are many treatment options available to address these cracks and breaks. Biting down on hard foods, especially hard candies, chikkis, etc. The all-new high-tech dental and cosmetic procedures can help to restore your damaged teeth. The procedure depends on how badly your tooth is damaged. You should consult your dentist right away, in case of any dental injury. Composite Bonding: Dental bonding is a procedure done to repair cracked, chipped, discolored, decayed or spaced out teeth. Composite is a tooth-colored resin material that is applied and sculpted over the healthy area of the tooth to rebuild the chipped/ fractured/ decayed portion of the tooth. This composite bonding lasts for many years. Veneers: Veneers are among the best options to use because they offer the most attractive and natural results possible. If you want the restoration that lasts for a very long time, then this would be the best. This covers the front surface of your anterior teeth and produces a very appealing, natural look. Crowns: They are the most common restorative treatments available. 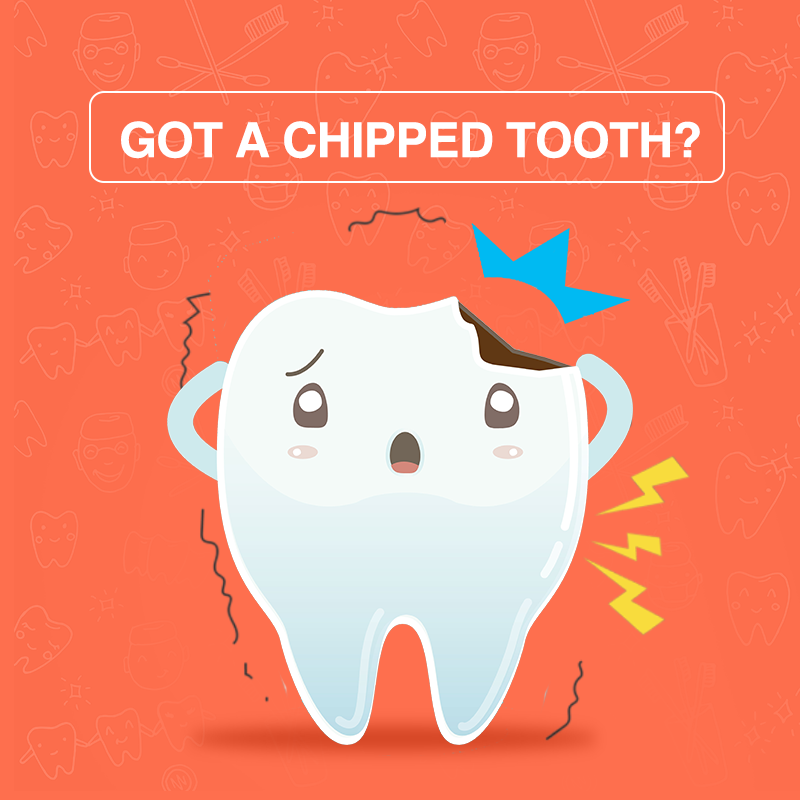 If your tooth is badly chipped and you are experiencing pain when eating or drinking, then you may need a crown. Crown act as a cap that covers the entire tooth. Root Canal Treatment: Root canal treatment involves removing the decayed portion of the tooth along with the infected vital tissue. It is an excellent way to relieve pain from an infected or inflamed tooth caused by a crack or chip in the tooth. Dental Implants: If your tooth has a crack that extends deep below the gum line, the tooth is no longer treatable and will need to be extracted. A dental implant is used to replace it. Are you committing these 5 mistakes while brushing? | The Dental Spa on Importance of Flossing! 6 Ways to know if you have a Cavity | The Dental Spa on Wonder why you are more prone to cavities?